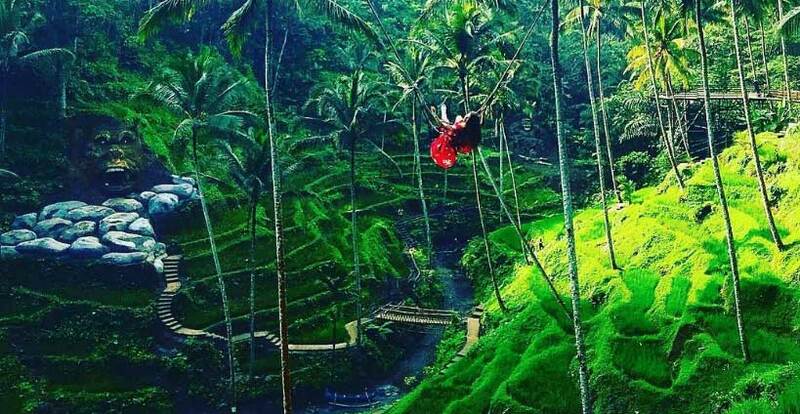 Ubud Bali Swing Tour Highlight : Trekking at Ceking Rice Terrace – Swing at Tegallalang : Bali Swing is one of the most popular activity in Bali – Monkey Forest Ubud. Following a pick up from your hotel, you will drive to Ceking rice terraces at Tegallalang, 40 minutes trekking on rice paddy field with stunning a magic morning and beautiful rice paddy view. Next we will drive to Swing at Tegallalang, this swing is hanging between coconut trees, high atop a hill, which offers you spectacular experience. You can get thrilling feelings, adrenaline rush, unforgettable experiences and unique pictures. You no need to worries, there are level for swing, from the lowest until 70m above the ground. 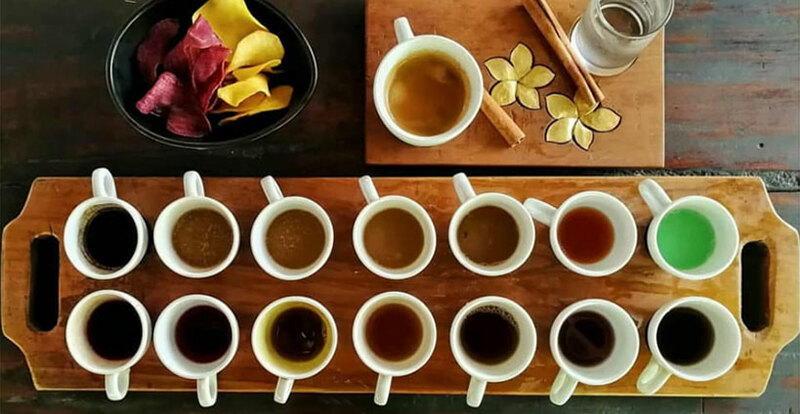 After swing you may enjoy some free coffee at the nearby coffee plantation with their special product Luwak Coffee. 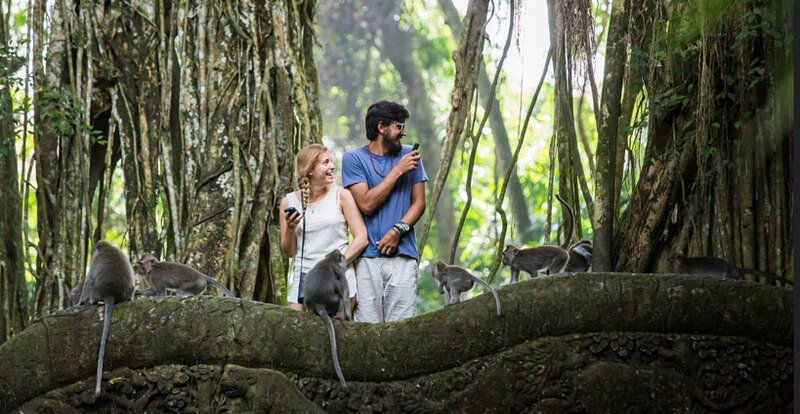 The last place that we will visit is Monkey forest at Ubud, you can enjoy walking on a beautiful green forest with a thousand monkey habitat. 08.30 am : Arrival at Ceking rice terrace at Tegalalang, start trekking on stunning view rice paddy field and explore the fresh morning atmosphere. 09.30 am : Drive to Terrace River Pool Swing, the best swing in Ubud with beautiful rice terrace scenery and many level of swings, it’s around 2 minutes from Ceking rice terrace. 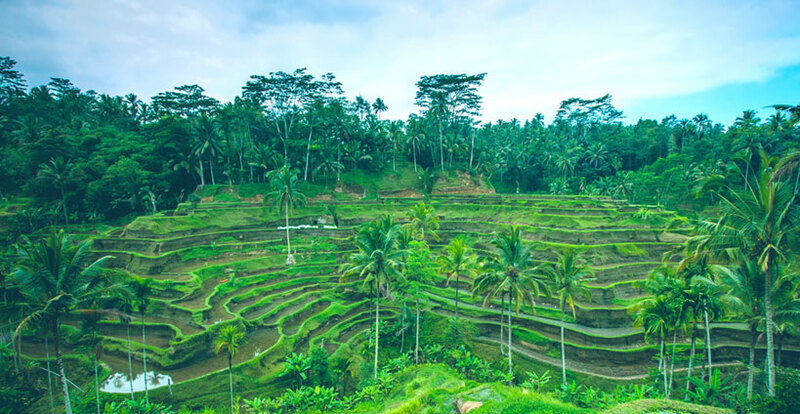 Enjoy the beautiful rice terrace scenery on swing and also we can exploring Bali coffee garden and get free tasting of Bali coffee. 12.00 am : Visiting Ubud monkey forest at Padang Tegal village, exploring natural rain forest with monkey habitat. 01.00 pm : Drive back to hotel or lunch around Ubud area on the way back to hotel is optional. Best time to start : 07.30 – 08.00.